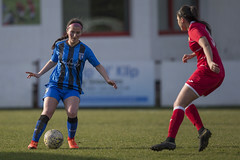 As Assistant manager to James Marrs in 2013, Jack was on the sidelines when Gills saw their most successful league campaign by finishing second in the Southern Premier League and a historic FA Cup run taking them to Women’s Super League side Arsenal LFC. 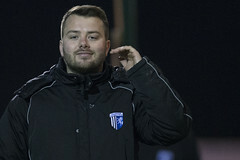 A time away from Gills to coach at his Pro Kickers Academy, Jack returned to coaching staff and was put in full charge as Gills First Team Manager early into the 2015/16 campaign. 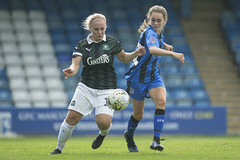 Wheeler’s second season in full time charge proved successful as the team raced to win the FA Women’s Premier League South East Division One and a return to the Southern Premiership. 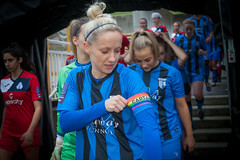 A photographer for Gillingham FC’s official club photographers Kent Pro Images, a media designer and keen reporter. Julian is found at the base of most of Gillingham Ladies media output. Providing extensive media coverage from match-day reporting, programme editor, taking photographs to producing the video content for our YouTube TV Channel. Julian keep Gills Ladies communications moving when off of the field too, engaging with our fans via Social Media through Facebook, Twitter and Instagram. 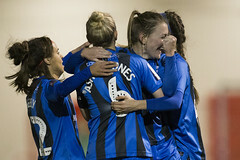 All aiming to bring our fans closer to Gills Ladies Football Club. Josh is our match day video camera operator and post match interviewer. Josh is behind the camera filming our matches for the YouTube highlights. Josh also composes GLFC:TV’s post match interviews with the manager and playing squad after the games, asking all the the key questions. These are documented on our YouTube channel and put into articles on our website and into Gillingham FC match day programmes. I would just like to pass on my comments, on regarding Mr Martin Andrews comments on radio kent today. I couldn’t agree more with Martin, I am dad with 2 girls of 11 and 9 who love their football. We recently had a school tournament for girls, but unfortunately the school didn’t have enough girls to represent them, so we asked if they could play in the boys tournament, the organisers refused and said girls have their own tournament, when techincally they can still play mix at that age! It really angers me that we try and encourage the girls to play, it broke my heart when my daughter said “why can’t I play dad?” What I am suppose to say. With girls football I really think we are so far behind the times and so sexist. I am qualifed level 2 coach and now we have found a local club which will take girls on, we have 18 girls turn up every Saturday from age of 6 up to 12, I don’t like to turn any girls away and the girls really love playing, but we do struggle on finding other clubs to play. Anyway ranted on enough, please pass this on to Martin, keep up the good work and your not alone by any means. Thank you for getting in touch with us. It is very moving to hear the story of your two little girls and we’d love to arrange a time for them to come down to training and one of our matches. We’ll be in touch. And please keep following the club!